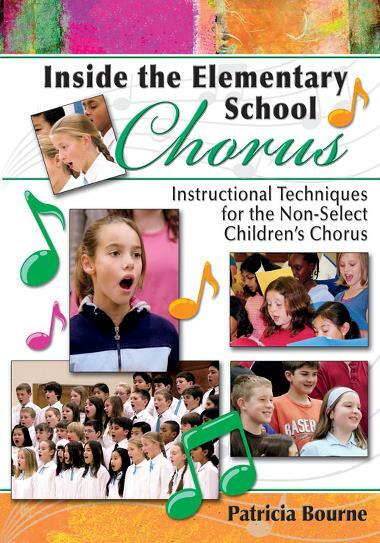 Designed specifically for the music educator working with non-auditioned children's choruses, Patricia Bourne's "Inside the Elementary School Chorus" addresses everything from recruiting to getting kids excited about singing, from warm ups to programming, and from working with parents to budgets. In addition to helpful how-tos, this outstanding resource illustrates how children's choirs can become environments where participants learn a strong sense of community alongside high levels of musicianship. As an added feature, the book includes a DVD that provides sight and sound to the strategies shared in narrative. Organized to follow the book, its sections include: The general music classroom as a venue for vocal instruction; Rehearsal strategies for the public school elementary chorus; and Performances-before, during, and after. Don't miss this resource filled with down-to-earth approaches and inspiring ideas.